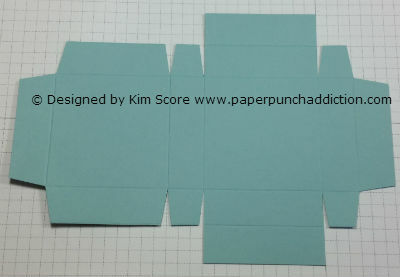 Hi all, this little nugget box is so easy to create and you can get 2 out of a single sheet of card stock! The box holds 4 wrapped Hershey Nuggets perfectly. 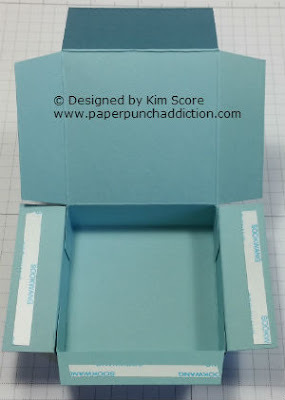 Following are step by step instructions to make the box. You can decorate the box any way you want. 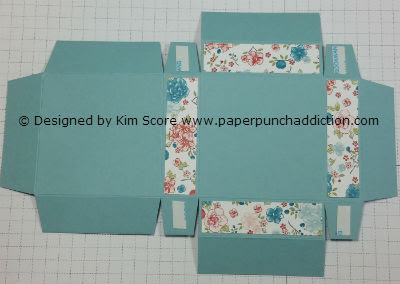 I have included suggested layer sizes for the top and sides of the box in decorating. All products used are Stampin' Up! (some are not current). On the long side, score at 3/4", 1-1/2", 4", 4-3/4", 7-1/4"
On the short side, score at 3/4", 1-1/2", 4", 4-3/4"
Clip away the sections as shown. Secure small tabs on the inside corners to form a box. Apply adhesive to the 3 side pieces and fold to the inside and secure. 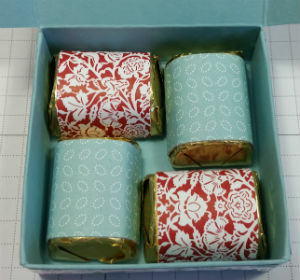 Wrap 4 Hershey Nugget candies with 1" x 3" designer papers. Close box lid (tabs to to the inside). 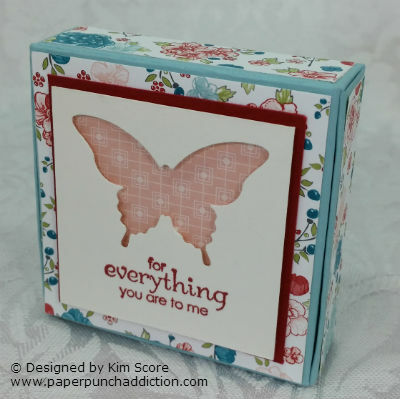 Design box top. I used a floral panel 2-7/16" x 2-7/16", cherry cobbler panel 2-1/8" x 2-1/8" and shimmery white 2" x 2" punched with butterfly. Greeting is from Petite Pairs stamped in Cherry Cobbler ink. Cute box, thanks for the tutorial!! Thanks for the tutorial. Sweet of you to share. Also you look wonderful in your new profile pic! Pleased to see you returned! Thx for putting this tut together and sharing. Best wishes for a bright year ahead.